Your surroundings reflect who you are and what you aspire to be! Uplift the look and feel of your home by creating a spiritual space within your house that will soothe your eyes and calm your soul. Indulge in a wide range of elegant décor pieces, rare collectibles, accessories, jewelry and books to match your spiritual self! It’s the interior and décor of a house that makes it feel warm and inviting. 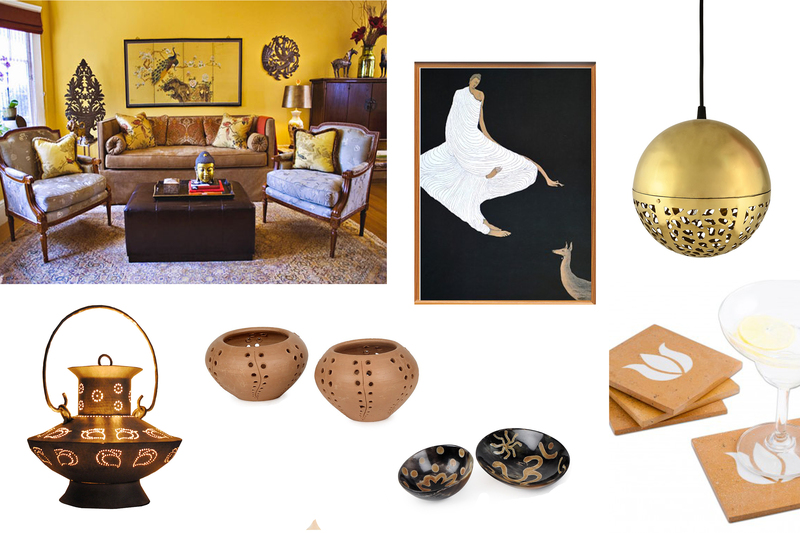 Use versatile products that include décor pieces, furniture and home accents, exclusively hand-crafted into exquisite shapes and designs that will compliment your home and add to its spiritual aura. Give your walls an instant makeover with one-of-a-kind Lithographs and contemporary wall arts that blend beautifully with your ethereal surroundings. Lighten up your living room area with vintage rudraksh lamps and terracotta candle holders, which will not only highlight your favorite corner but also add ambience to your room. Want your kitchen to be your sacred space too? Discover these delightful kitchen accessories that will gracefully adorn your dining table and kitchen racks. 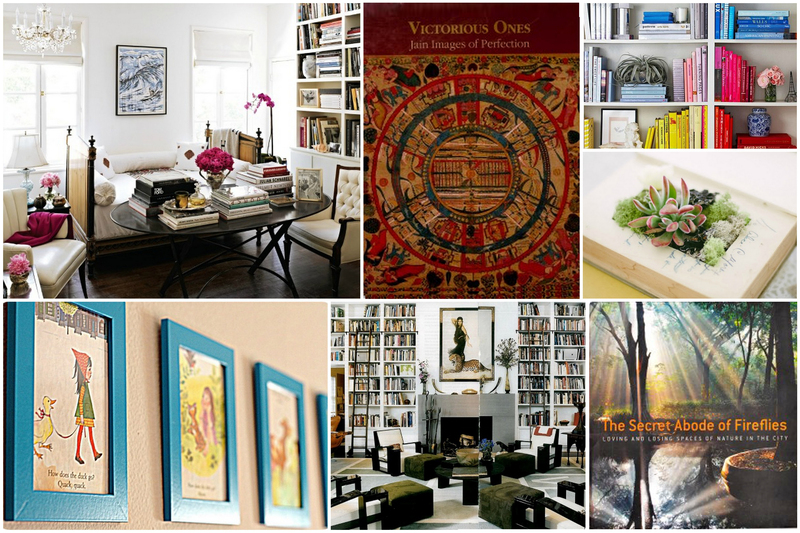 Books form an inherent part of every home décor! Instead of just stacking them on bookshelves and racks, why not display them in a way that catches everyone’s eye and also enhances the transcendent vibe of your home. Flaunt your book collection by creating a large bookshelf out of them in your living room and stacking them up from floor to ceiling in a bold fashion. You can even try color-coordinating or arranging them in color blocks. If you want to add a touch of mystic to your coffee table then adorn it with vintage accents like brass vases and pots along with your books to give it a divine twist. Looking for spiritual jewelry to pair with your traditional attires? 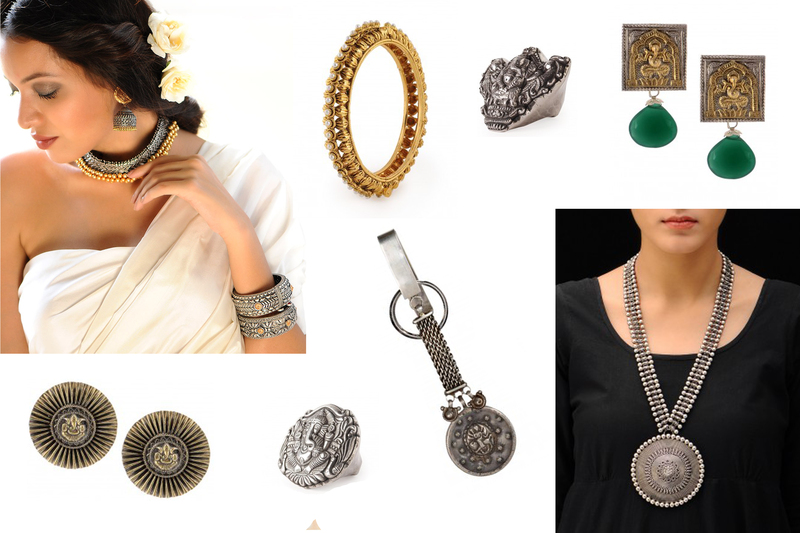 These ornately-crafted jewelry pieces with impeccable style and intricate details will be your new ethnic companions. Match your cotton or silk saree with this collection of temple jewelry with gold accents from South India, silver earrings and rings, adorned with spiritual and idol motifs and resplendent neck pieces, studded with rudraksh beads. So, which one of these charming pieces would you bring home? Posted in Art, Buddhism, Crafts, Decor, fashion, Home Diaries, Homes, India, inspiration, Jaypore, Jewelry, Textiles, Wondrous India and tagged accessories, beautiful, Books, Buddha, Colors, earrings, elegant, fashion, home, home decor, idol motifs, India, Jaypore, Jewelry, Kitchen, lamps, necklaces, rings, rudraksh, Silver, soul, spiritual, styles, temple jewelry, Traditional, vases. Bookmark the permalink.